What’s more alive than textbook history, shorter than the lifespan of a fly, and more party than a Bar Mitzvah? A Night at the Museum! All children know that the only thing better than a Night at the Museum is a second Night at the Museum. For queries into this see: From the Mixed up Files of Mrs. Basil E. Frankweiler or, alternatively, The Royal Tenenbaums. 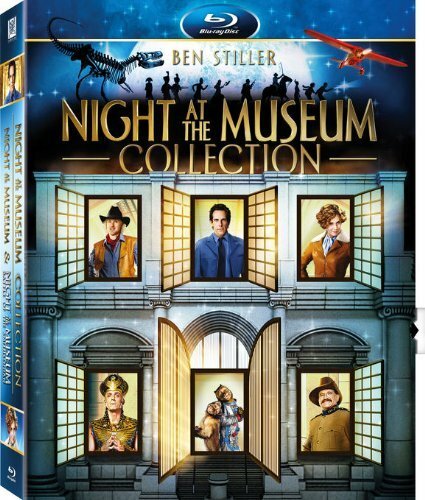 Amazon must know this too, because the Night at the Museum Collection is being featured as the Blu-Ray boxed set feature of the week. Up until December 11th, anyone can order that puppy for $18.99. Sweet. The set doesn’t seem to contain any extra features, but it does come in a cool box with a cover vaguely reminiscent of Led Zeppelin’s Physical Graffiti. To look into this more, go here.